Anyways, the clouds were brushes from Xephyer...i think...sorry..that was part of the name of the file, and my friend sent this to me, so im not quite sure.. 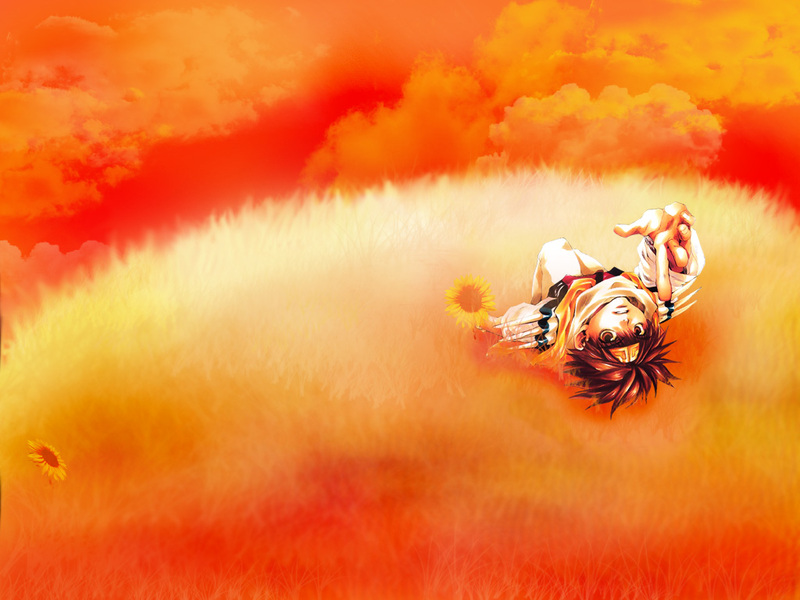 The boy is Goku, from Saiyuki, i got the scan from blinding-light.com, thank you very much! Wow. It's very nice... I love it! :D Goku's position on the hill makes me laugh. Wow, it's also so sharp. I love the way you did this. Thanks so much!